This science art design, is composed of Einstein's remarkable quote and the relative position of the Sun to the center of the Galaxy and 14 pulsars with their periods denoted. 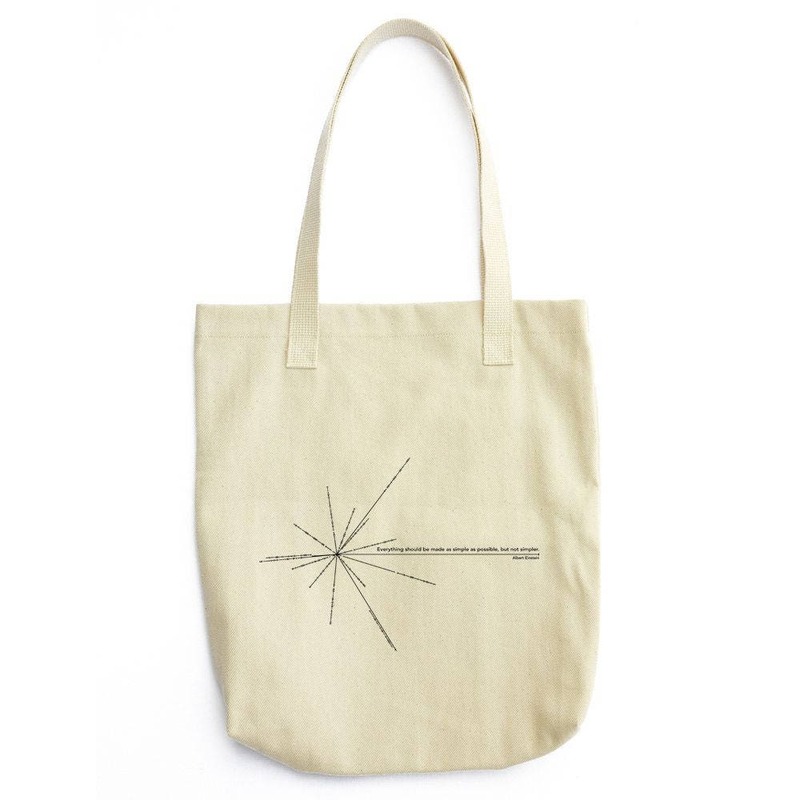 This design is included at the Pioneer plaque (and also in the Voyager Golden Record). The Pioneer plaques are a pair of gold-anodized aluminium plaques which were placed on board the 1972 Pioneer 10 and 1973 Pioneer 11 spacecraft, featuring a pictorial message, in case either Pioneer 10 or 11 is intercepted by extraterrestrial life. Carl Sagan with Frank Drake designed the plaque, and the artwork was prepared by Sagan's then-wife Linda Salzman Sagan.